The sentiment above was present throughout Ted Geisel’s (aka Dr. Seuss) 60 years of paintings, drawings, and sculpture. To further this sense of fantasy and nonsense, Ted employed his hallmark technique of marrying text and imagery in his work. Here, upon first glance, we see a young cat laying in a cradle. Upon a closer look, however, we see the cat engaged in one of the oldest games ever recorded in human history—Cat’s Cradle. Ted’s title then brings the two together and pushes the sense of whimsy to its extreme. 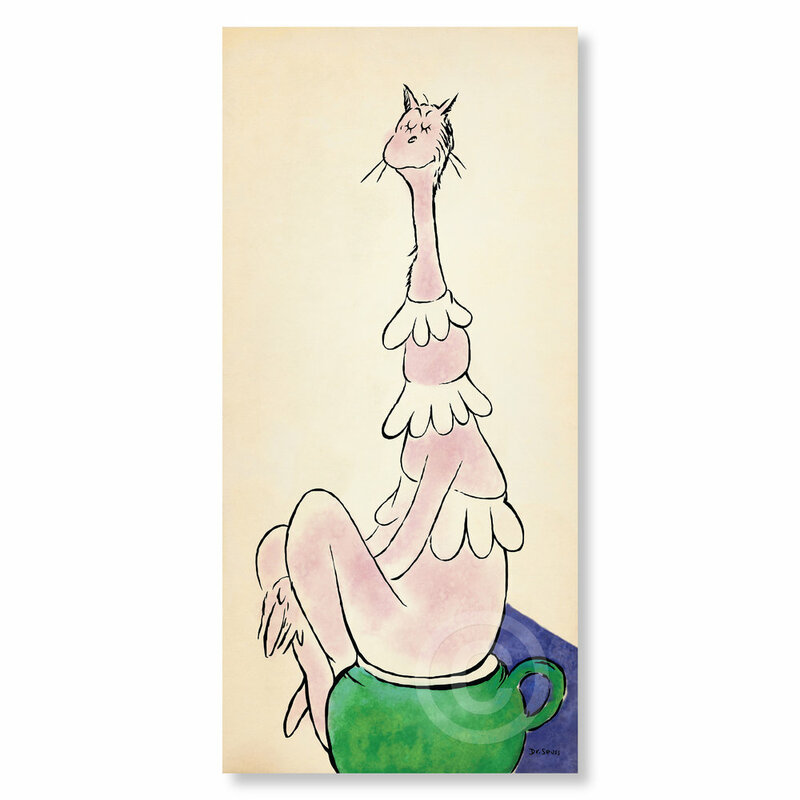 This work is one of the rarest in The Art of Dr. Seuss Collection. 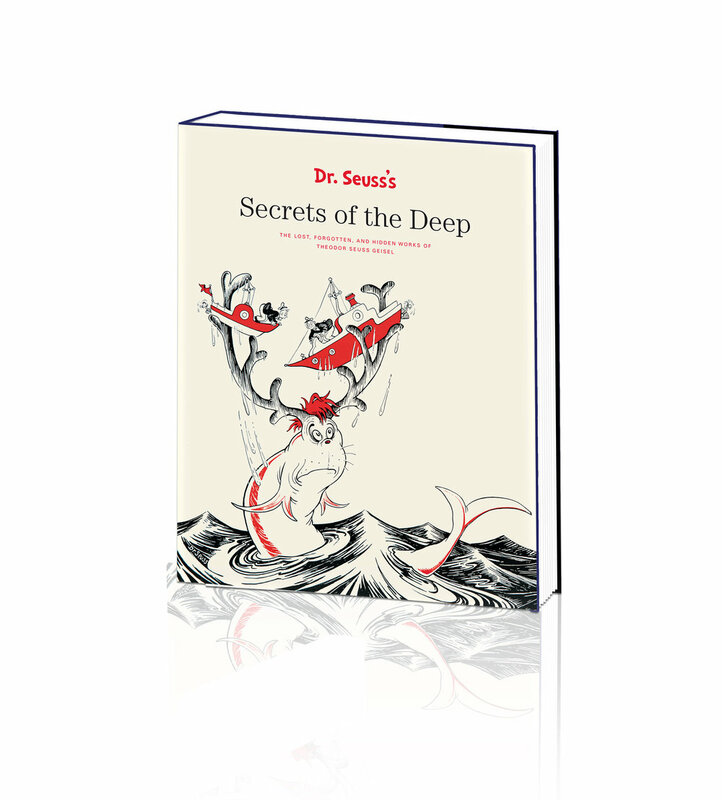 It was first seen by the public in Secrets of the Deep, a large-scale retrospective book published 15 years after the first private paintings made their appearance in a smaller monograph titled The Secret Art of Dr. Seuss. Ted and his wife Audrey had hung this work above a mantle in their bedroom where the work remained throughout Audrey’s life. This painting had struck an intimate and personal chord, perhaps because of its subject matter, or maybe because of its exemplary manifestation of Ted’s core beliefs as described above.